This acid free natural white paper is popular among manga artists. Its ultra-smooth surface makes it excellent for use with Copic markers, pen and ink, Crowquill pens, technical pens, waterbased markers, and permanent markers. 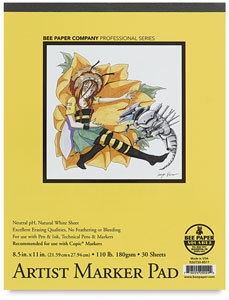 Sheets are 110 lb (180 gsm).